The Dermaglow EST is an affordable alternative for the budget conscious skin care professional! 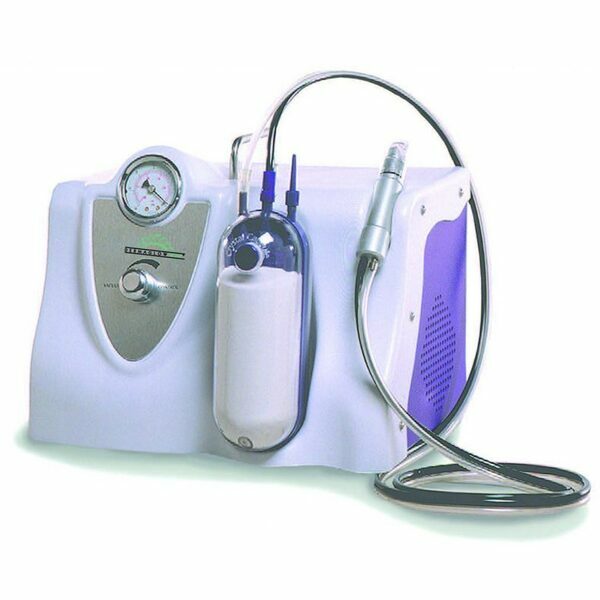 Dermaglow EST is perfect for esthetic applications as it is powerful enough for the majority of applications. The Dermaglow EST allows for infinite vacuum control with a simple knob control on the front of the unit, power is monitored by a sturdy analog gauge. the Dermaglow EST automatically adjusts crystal flow to match your power setting. Nothing could be more easier to us. Our Dermaglow EST is small and light weight, at a small 12"L X 11"W X 8.5"H, it takes up very little space. It weighs only 14 pounds and comes complete with a convenient carrying handle to allow you to take it with you.